While I lack the time now for an in-depth series of posts, I would like to at least observe the 150th anniversary of the Carolinas Campaign by providing two accounts from the 79th Pennsylvania in the two weeks leading up to the Battle of Bentonville, North Carolina. Bentonville stands out as one of three battles (including Perryville and Chickamauga) in which the Lancaster County Regiment took around 30-40% casualties. For background on this campaign, I refer you to Craig Swain's daily blog posts about the army's movements. Note that the 79th Pennsylvania was in the First Division of the Fourteenth Corps. Since crossing the Savannah River at Sister's Ferry on February 5, 1865, the 79th Pennsylvania and the rest of General Sherman's army cut off their line of communication to move aggressive through South Carolina. 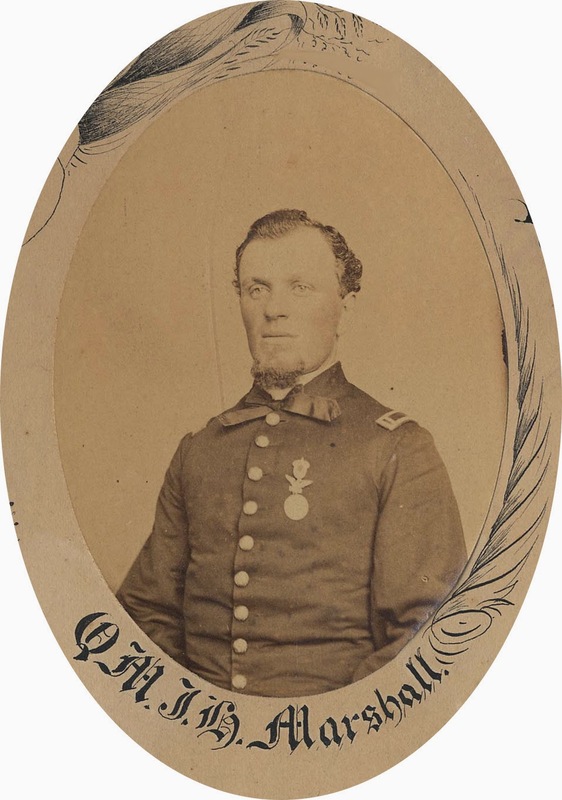 Upon reestablishing communication on March 11, when the regiment reached Fayetteville, North Carolina, Lieut. James H. Marshall took the time write his first letter in several weeks for publication in the Daily Evening Express. Marshall essentially copied his diary to cover events of each day of the five week interval. He reported that the "health of the regiment has been good," gave details on the march, and listed the names of soldiers captured while foraging. Read the full letter, published in the March 25, 1865, Daily Evening Express here. Get my clothes washed for the first time since Feb. 17th. One boat has reached us from Wilmington & more are coming. Mail goes out at 1½ P.M. I write to Sister Agnes. Last night drew & issued some captured rice & 900 lbs. F. beef & this morning some tobacco. 1st Luke paid me 35 cts. due me for coffee for Capt. Nixdorf. Sergt. Rutt, Corp. Witmer, & Priv. Campbell of Co. “H” were captured on the 10th, the latter wounded near Fayetteville. Move at 7 A.M., cross river on pontoon bridge below burnt bridge & move on the Raleigh Road 2 miles & camp. Reb. pickets short distance in front. We expect to remain 3 or 4 days for clothing & rations. 2 Reb boats were captured here. Several boats come up from Wilmington tonight. Drew & issued 100 lbs. corn meal & 900 lbs. F. beef. Traded my mare for colt, black, with heavy mane & tail. Very small ears, small white spot between ears & eyes, hind feet white close to hoofs, & right hip down. New York & Phila. papers of the 3rd received today. Drew & issued tobacco. Sent in Provisions Return for 15 days, commencing 1st March & ending 15th for 287 men. Wrote to Father a brief sketch of our campaign. We have been out 54 days & marched 395 miles. Lieut. James H. Marshall, Major Locher & some Officers from Brig. Hd. Qrs. took the band & serenaded Gen. Sherman, who said, among things, that in 3 days we would connect with Gen. Schofield. 20th Corps moves out this morning leaving its 2nd Div. in charge of their Corps trains. We nove at 10 A.M., our Brigade in advance & upon the Raleigh Road. Lieut. Russell visited me this morning Drew & issued 2 days rations & bought 5 pounds coffee for Lieut. James H. Marshall at 47 cts. pr. lb. amt. to 2.35$ & 1.00$ due me amt. to 3.35$. He gave me 5.$, thus leaving a balance in his favor of 1.65$. Lieut. Russell renews the acquaintance of Capt. McCaskey & Lieut. Marshall. They had formerly been schoolmates in Lancaster, Pa. I accompany him to his Regt. & take dinner with him. Country level today—soil sandy. Forage sufficient for animals, very little for man. Some Artillery firing on our right. We camp 12½ miles from Fayetteville, having marched 11 miles. Day wet. Rebels reported in our front in heavy force. Move at 9 A.M. on the Raleigh Road, our Brigade in rear. I move up to the front, where Cavalry are skirmishing with Rebs. They have left one line of works. Road very bad. At John C. Smith's s plantation the skirmish merges with a fight. 1st & 3rd Divs. of 20th Corps relieved Cavalry. Artillery is freely used. Rebs are kept busy in front while one Brigade is sent upon their right flank, throwing them into confusion, capturing 4 pieces of Artillery & 100 prisoners. Many are killed and wounded. J. C. Smith's residence is used as a hospital. Cape Fear River runs nearly parallel with this road. Reb right rests upon the river. Johnston is in command of Rebel forces. Report says he has 2 Corps’. This is called the Battle of Averasboro. The 1st South Carolina Heavy Artillery are armed with muskets. Many of them were killed, wounded & captured. They were at Charleston untill its evacuation. Our 2nd Div. and 1st Brig, of our Div. were engaged this P.M. Drove the Rebs 6 miles & then quiet down for the night. Day wet. Our loss in killed & wounded is. Morning clear. Rebs have gone—commenced leaving at sunset yesterday. Their skirmishers were withdrawn at daylight this morning 3rd Div. of 20th Corps moves after them upon Raleigh Road. That town is 37 miles distant. 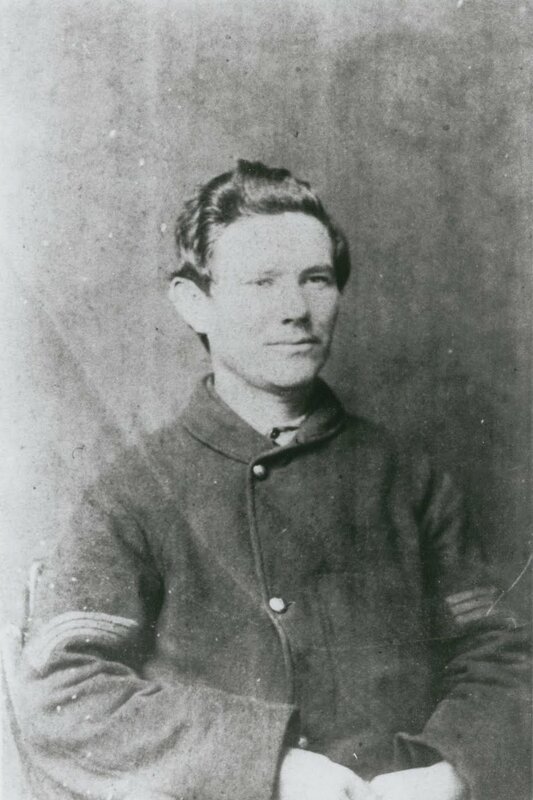 Courier captured whose dispatch said that Johnston should hurry to Raleigh & Lee would give him enough troops. I go 1½ miles on the Raleigh Road & get some lard, then hear that our Corps & 1st Div. of 20th Corps are moving to the right on the Goldsboro Road. This place is 42 miles distant. Rebs have parked & burned their train near Smithfield 3½ miles from their works. Also abandoned many ambulances loaded with wounded. We cross Black River & camp 5 miles out, having marched 7 miles. 2nd Div. in front. Country better, soil sandy. Move at 6 A.M. on the Goldsboro Road, 2nd Div. in advance. Foragers pass troops & find Rebs 30 miles from Goldsboro and push them back & 27 miles from that town we had sharp skirmishing in which 4 horses were killed by a Rebel shell, & two skirmishers wounded by minnie balls, one man captured. They skedaddled when they saw our line of battle. Forage more plentiful. I get some potatoes & onions & return, finding Div. encamped 27 miles from Goldsboro. That town reported taken by Gen. Schofield. Marched 12 miles. I'll try to follow up next week by posting letters from the Battle of Bentonville.